© Jeff Whetstone, from the series "Post-Pleistocene"
During the last year, we published 14 short essays from photographers to the basic question, "What advice do you have for starting a project?" The series featured replies from Judith Joy Ross, Irina Rozovsky, Alejandro Cartagena, Phil Toledano, Steven Ahlgren, Susan Lipper, Amani Willett, Lisa Kereszi, Eirik Johnson, Richard Renaldi, Brian Ulrich, Mark Steinmetz, Tim Davis and Nicholas Nixon. We subsequently began a follow-up series of posts of advice from photographers on how to develop a project, asking them how they approach the middle ground of their projects after giving basic definition and before taking steps to finish. Responses in this series are from Elinor Carucci, Michael Itkoff, Jackie Nickerson, and Alessandra Sanguinetti. Today we return to the question of starting a project with an essay from Jeff Whetstone. Jeff Whetstone was born in Chattanooga, Tennessee and has been filming and writing about the relationship between humans and their environment since he received a Zoology degree from Duke University in 1990. After following the migrant farm worker stream and producing a book entitled Migrant Summer in 1992, Whetstone served for five years as an artist-in-residence at Appalshop, Inc., a media arts center located in coalfields of eastern Kentucky. There he produced numerous exhibitions about the changing Appalachian landscape. 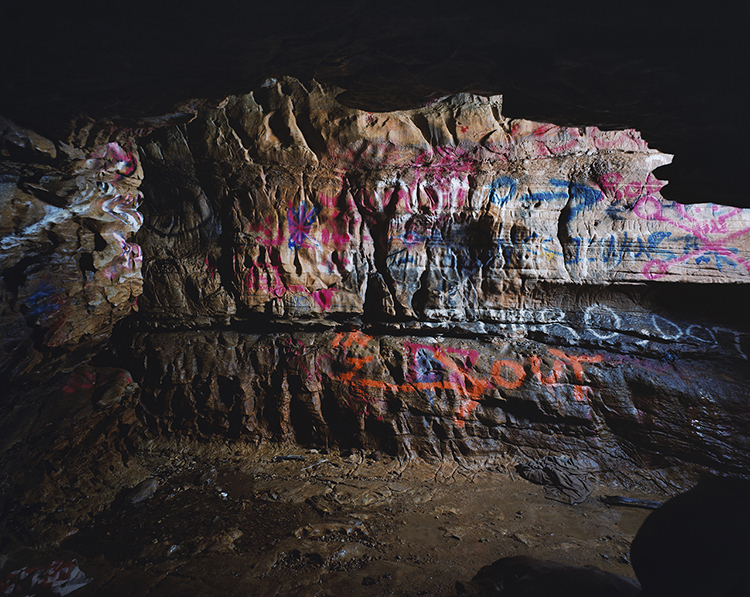 In 2007, Whetstone was awarded a Guggenheim Fellowship for a body of photographs entitled New Wilderness. Since 2008, his work has been exhibited internationally and reviewed in The New York Times, Los Angeles Times, New Yorker Magazine, Art News, among others. Whetstone first exhibited his video work in 2011 when his experimental short, On the Use of Syrinx, premiered at the Moving Image Festival in New York. A second exhibition in 2011 at Julie Saul Gallery entitled Seducing Birds, Snakes and Men introduced Whetstone's work in animation, 16mm film, and video to a wide audience. Whetstone is a 2012 recipient of a North Carolina Arts Fellowship in film and a professor at the University of North Carolina at Chapel Hill. To start a project, I have to fool myself. I use what the late, great Larry Sultan called the Provisional Myth of photographic projects. Here's how it works: to start a real project, I need a fake project, "A Provisional Myth." I embarked on the three-year long Post-Pleistocene project, through a fake project that I designed while sitting at my desk. (Usually a project I design at my desk is shallow, literal, unviable, and fully cooked by the time I get up from the desk. There is no real need to photograph those projects.) However, I do design projects at my desk sometimes, and at my desk this day I decided to go photograph the farmland where I grew up. Bawcress Farms was a former mule and horse farm, with rutted roads bordering fields of feed corn. It was transformed into a subdivision about the time I graduated high school. The photographs I made were somewhere between New-Topographics and Better Homes and Gardens. With a few exceptions, the pictures were what you would expect - boring landscapes with new homes. I walked the paths of my old hunting trails interrupted by driveways and privacy fences. The drastic transformation conjured deep memories. I began to see the change in the landscape reflected the change in me. This land and I were both once feral. Now we had become domesticated and predictable. I had a family and a job. This subdivision was built for people kind of like me. The landscape and I coursed the trajectory of contemporary life together. Our culture transformed both of us from wild and feckless into secure commodities. As I looked around and made some boring photographs, I was forging the image of this landscape around the historical and political forces to which it was subject. That was the "Provisional" part of Sultan's "Provisional Myth." The act of photographing my boyhood landscape provided me with an opportunity to enter the mental space where my desires, the changing landscape, and our mutual histories became entangled. That is, after all, the overarching subject of all my work. I can only access these ideas by working with my subject directly in front of me. The "Myth" part of Sultan's formula was that this project would portray the farmland of my youth becoming a suburban subdivision. That was not the project. 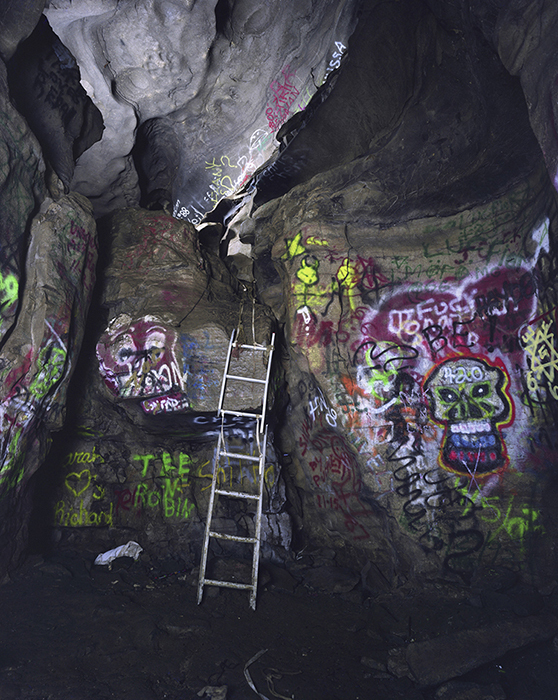 The real project started when, after submitting to the generic personality of the photographs I was making, and the urge to reminiscence on my youth, I wondered about "The Cave." 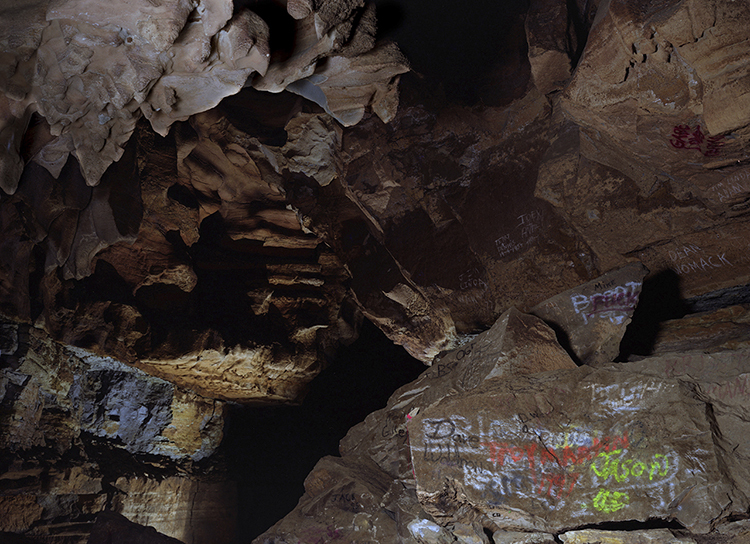 In my adolescence, I expressed my most feral adolescent desires deep underground inside Wolftever Cave. It was near the farm, tucked away in a rockfall above the creek. Was it still there? Could I find it? What could a subdivision developer do to a cave? Do kids still visit it? I hadn't been there in twenty years or more. I was surprised when I walked right to its hidden entrance without making a wrong turn. I tentatively crawled inside and flicked on a light. The scene had not changed much. I saw the familiar beer cans, condom wrappers, and graffiti layered so thick that the wall in front of me was almost completely red. I thought to myself – "Ha! A Tennessee Rothko. Contemporary cave art." At that moment the real project was born. This project was not so different than the initial provisional myth project of photographing my childhood farm. Post-Pleistocene was about a similar story – cultural evolution, territory, landscape, and escape. I walked in that cave carrying with me specific ideas and a particular philosophical stance that the provisional myth project provided me. It is no coincidence that the subject matter I saw in that cave was Art forged by the tension between cultural systems and our inner animal. Photographic projects for me begin when I am wandering, knowing the real reason I am there reveals itself over time. I have to be somewhat lost. It is not a particularly pleasant feeling - seeking by means of photographing. I want my pictures to make sense together. I want to be guided by a principle - that is when making art is so comfortable and generative. But sometimes, at the beginning of a project, I don't get the benefit of that guidance. I wander, and I try to remember Keats' idea of Negative Capability. That is, when a person is capable of being in uncertainties, mysteries, doubts, without any irritable reaching after reason. I am a practical person. I generally have to have a reason to photograph all the while knowing I can’t invent that reason. I have to discover it through the act of photographing. That is why I give myself a fake project: to motivate me to search for the real one.